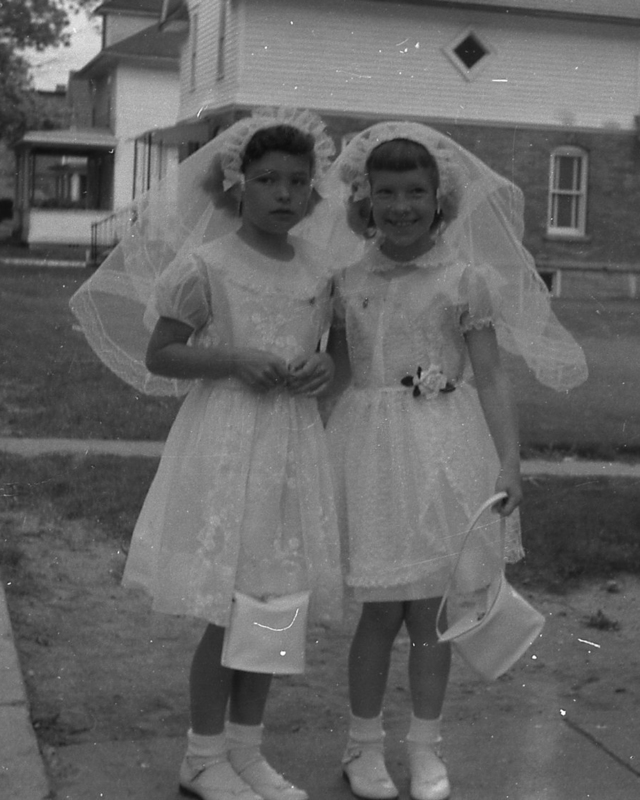 When I was a little girl, First Communion Day was in the spring, usually on, or very close to, Mother‘s Day. First Confession and First Communion went hand in hand. Back then this was a serious step in the lives of a first grader Catholics, and followed a year’s worth of catechism preparation, including stories about tasting blood if I bit into the host by mistake; Sister said I had to swallow the host whole. I didn’t want to bite Jesus; he’d already been through enough. “God made me to know, love, and serve him in this world and the next.” I guessed this meant I should pray a lot, behave in church ’cause that’s God’s house, so I had to be polite; I had to clean the church, spiffy up the grave yard when it’s my families turn, and study the catechism, which meant getting all the questions right when Sisters asked me. I guessed that also meant even after I got to heaven somebody like Sister would be telling me the rules up there, and what I had to do next to serve God. Man-o-man, I was never going to get a chance to just goof off. There were a whole lot more questions to know and answer, but I kind of forgot a lot of them. Oh my God, I am heartily sorry, for having offended Thee; and I detest all my sins because of Thy just punishment, but most of all because they offend Thee my God who art all good and deserving of all my love. I firmly resolve with the help of Thy grace to sin no more and to avoid the near occasion of sin. Amen. Then Father mumbled bunch of Latin stuff and ended in English with, “Go and sin no more,” which everybody knew was next to impossible, that’s why Father heard confessions every Saturday after catechism and every single kid who made their first confession was back in line for their ump-teenth confession. No one I knew could be good all the time, not even my sister Deanna, and she was next to perfect. Every night, I knelt in front of Mom while she helped me memorize the Act of Contrition and the Hail Mary and the Our Father, and the Glory Be. Those last three were for the rosary. I found out after my first confession, that they are also priests’ favorite penances. Oh, I forgot to tell you that part. After confession I got a penance; that’s something I had to do to prove I’m sorry. Penance was sort of like the glue, if I failed to do my penance, then the forgiveness came apart. It seemed to me it would be a better penance to go fix some of those offenses, like go tell the truth after lying, instead of just kneeling down in church and saying a bunch of prayers. I didn’t bring that up to Sister ’cause for one thing, Sister said I asked too many questions. Besides, I was a tinsy bit afraid of Sister’s pinched look, like she had a bad headache, every time I raised my hand; so I just kept my mouth shut. Let sleeping dogs lie, as Dad liked to say, and I kinda knew what that meant, ’cause I saw my cat Davey sink her claws into Nikki when Nikki was sleeping. That was a really bad idea on Davey’s part. 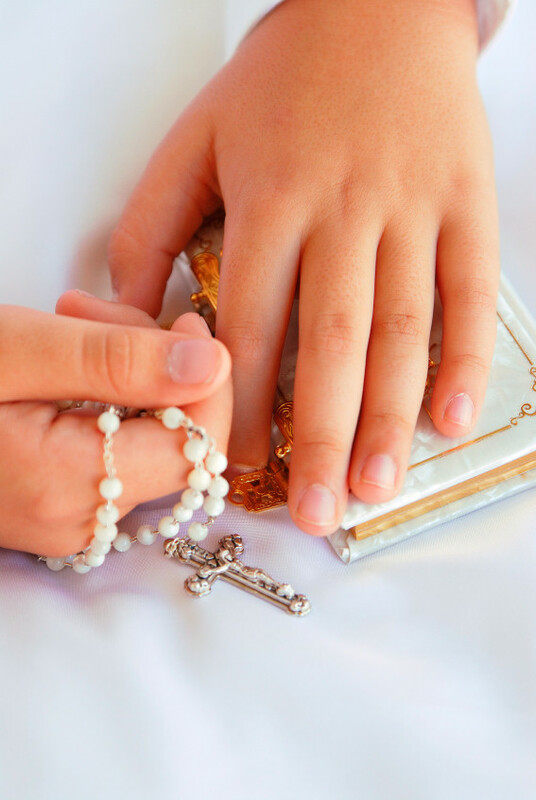 On the day of my First Communion I had another step to getting my soul ready, no eating or drinking: Nothing to eat after midnight, nothing to drink except water for three hours before Mass, and no water for one hour before mass. That’s so Jesus didn’t have to swim around in Cherrios and Tang trying to find His way to my soul. I got all dressed up in a brand new, white dress, with a white veil, almost like a bride’s veil. My friends Connie and Annette had on the exact same things, with white shoes, and pretty lacy socks; we had a tiny white missalette, a rosary, and a scapula, which is kinda like a necklace but made of cloth that a Catholic wears so the whole world knows she’s Catholic. My friends Frankie and Mike had all the same stuff, but all in black, I guessed ‘cau se boys get dirty easy. Mom said I was a dirt magnet, so that was a one-time dress. Father put that host on my tongue and I swallowed hard, with Frankie’s mom singing so sweet up there like an angel, seemed like those words just sank right into my soul and I felt as holy as I ever would feel. Maybe if everyone, including those who preach and teach, would pay a little more attention to the words of the Act of Contrition and really commit to undoing their wrongs, and avoiding the very things that tempt them, just maybe the world could be a better place. 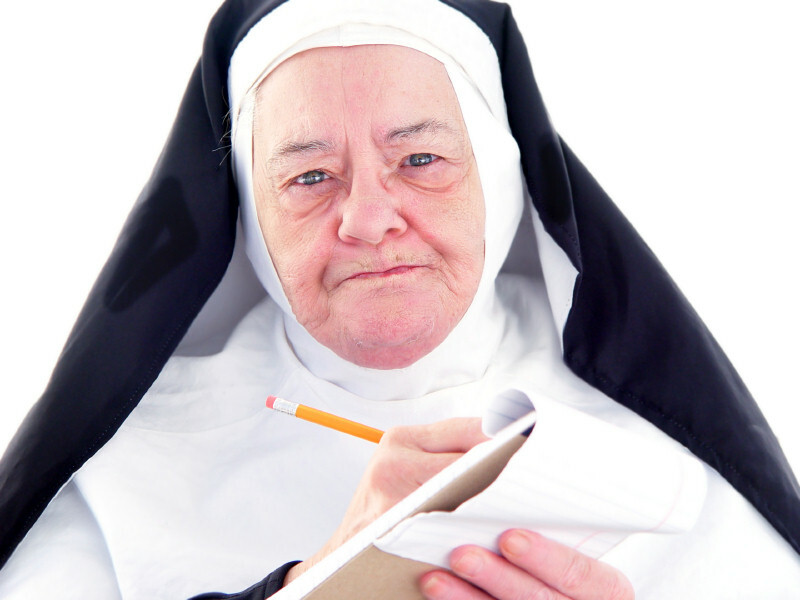 I’m not asking for perfection, just a major spring cleaning, and a true Act of Contrition. My grandson receives his First Communion this weekend. He and his dad worked hard for this special day. I wonder if my grandson will remember it when he gets to be a grandpa. Do you remember your First Communion? How about another time when you felt close to God? Please tell me what it was like for you. What a touching post. And I love that old photo. When do I feel close to God? I always see God in nature. What a great story. In the Congregational Church I grew up in in Connecticut, we didn’t have our first communion until we were thirteen. I remember that one time when communion was being offered, I asked my mother if I could take it, even though I was only ten. I told her when I thought about what Jesus had done for me by dying on the cross, it made me so sad and I really wanted to take communion. She told me I could because I understood what it was all about. My older brother was so mad because he was a rule follower, and I wasn’t the right age. He tried to argue with my mother about letting me take communion, but she wouldn’t back down. I still have such a clear memory of that. I love your story. Sometimes I wonder if others can relate to my childhood. My heart is warmed that my story sparked the memory of your early faith. Would you like to be a guest blogger? Yes! What do you want me to write about? Great! I sent you an e-mail.